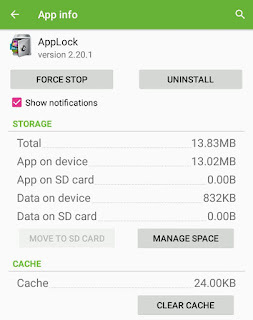 It's very easy to uninstall apps in Android phone. We usually delete them from their application settings. Another easy and quick way is to drag the app to the uninstall icon from home screen or app drawer. You can also uninstall multiple Android apps at once by using third-party applications like Easy Uninstaller. Some apps like those which you have installed from unknown source can't be deleted by these normal methods. 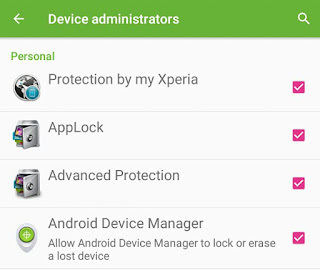 These applications may have administrative rights in your phone which will prevent them from being uninstalled directly. Once I also installed an unknown source app and found it to be a spam later. There is no app icon on home screen and when I try to delete it from settings, uninstall button is disabled. If you're also facing the same problem, then you're at right place. Here we will discuss on how to uninstall such undeletable apps in your Android phone. As already mentioned, apps having administrative rights in your phone can't be uninstalled directly. 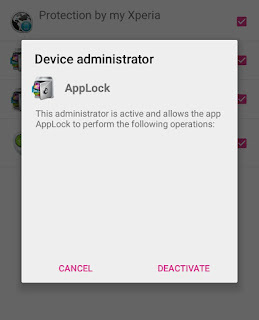 These applications have administration features at the system level and they are made for the security purposes (e.g: AppLock and HiddenEye). Go to Settings and click "Security" option. Now scroll down and click "Device Administrators". Here you will find all applications which have administrative rights in your phone. To remove any app, simply untick the button next to it. Now a pop up box will appear. Here tap the "Deactivate" button and that's it. Once you have deactivated the app, you can easily uninstall it from Settings. Simply go to "Settings > Applications (or Apps)". Now find the app, open it and then tap the Uninstall button. 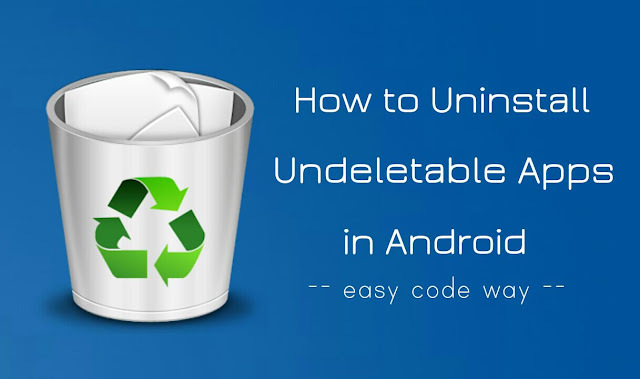 So this is how you can uninstall undeletable applications in your Android phone. Next time whenever you install any app, make sure that it is safe and comes from a trusted source. If you're facing any problem, feel free to share it in the comments below.